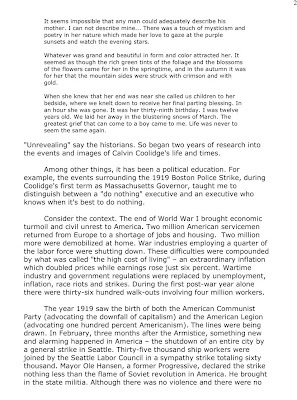 Click on each image or page to enlarge and read. 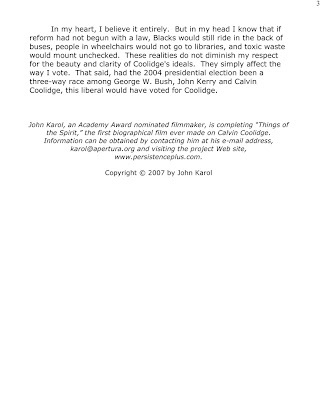 Scroll as needed to the bottom of the enlarged page. 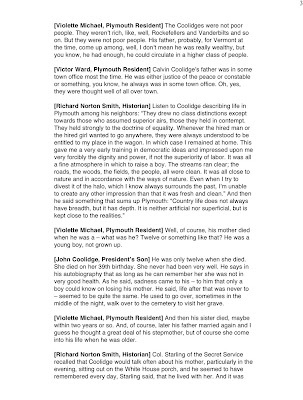 Click on your browser's "back" button to select the next page. 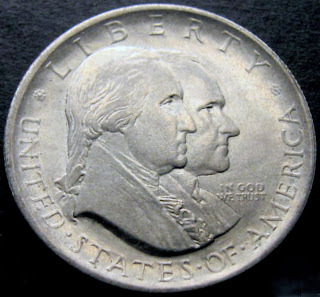 ever depicted on an American coin. 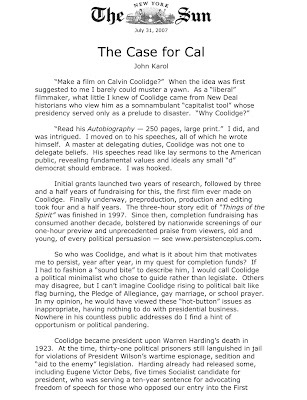 "The Case for Cal" — an editorial published by The New York Sun in July 2007. 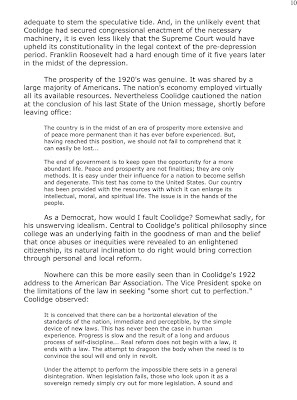 "Things of the Spirit" — a second editorial piece on Coolidge requested by the Sun shortly before the newspaper ceased publication in September 2008. 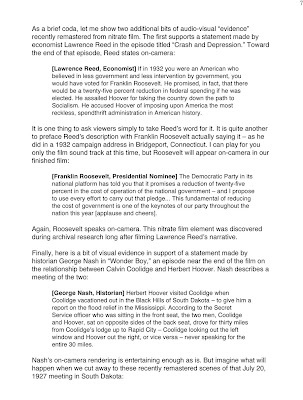 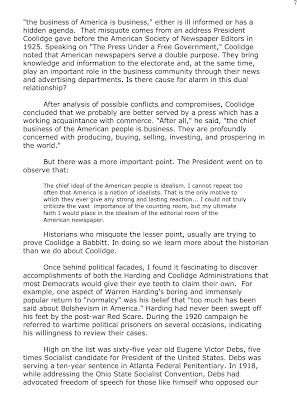 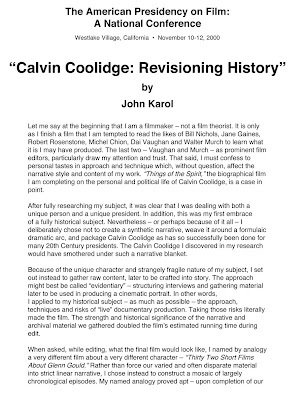 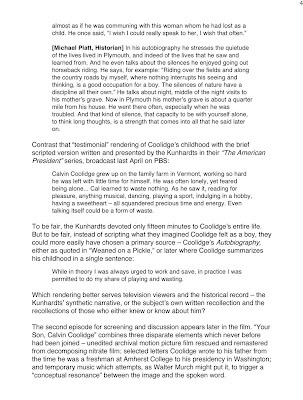 "Calvin Coolidge: Revisioning History" — a paper delivered at The American Presidency on Film, a national conference at Westlake California in November 2000. 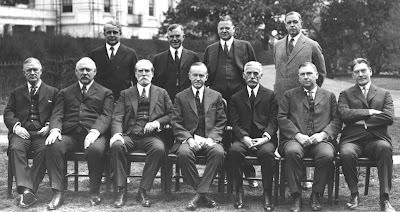 The three-day conference was attended by presidential scholars, academics and media people. 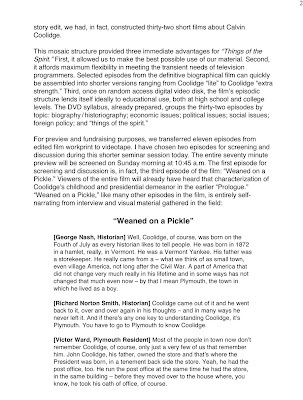 In addition to the paper, a one-hour preview of "Things of the Spirit" was screened at a plenary session. 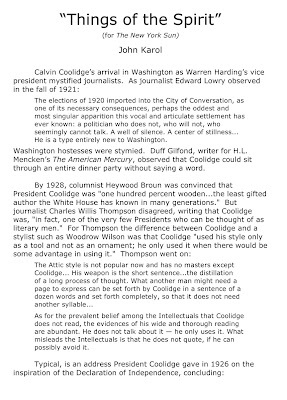 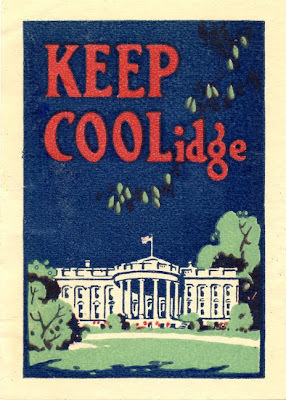 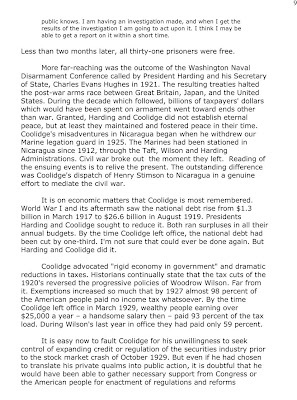 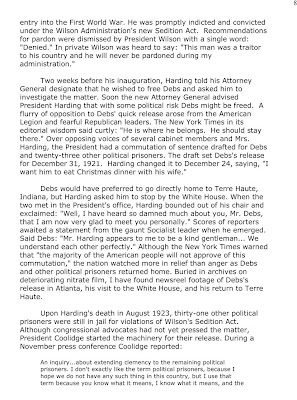 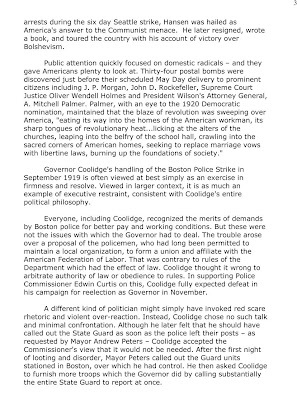 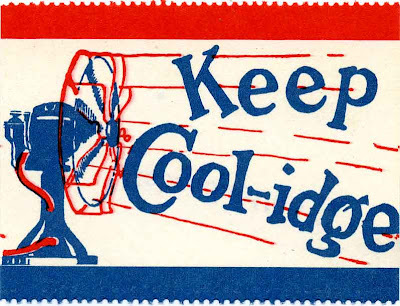 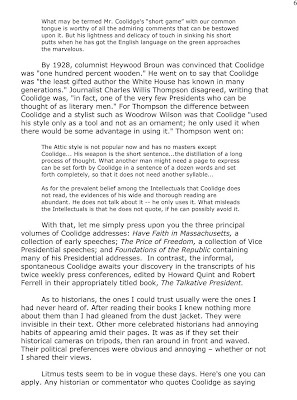 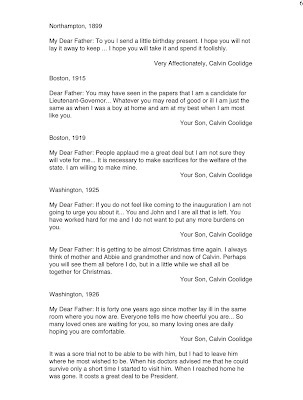 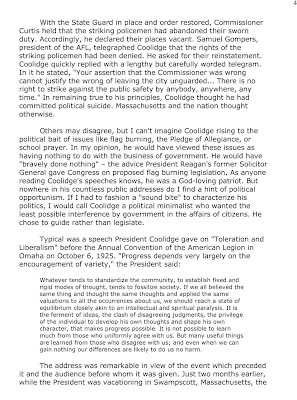 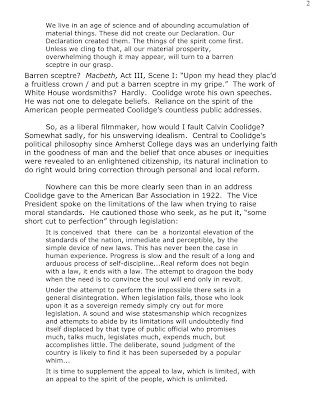 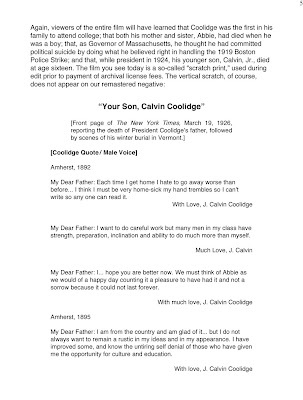 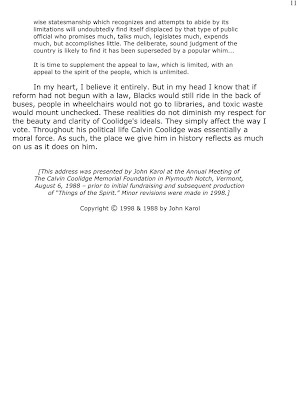 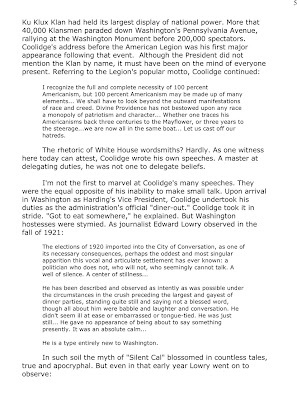 "A Democrat Views Coolidge" — an address delivered at the Annual Meeting of The Calvin Coolidge Memorial Foundation in August 1988, prior to initial fundraising and subsequent production of "Things of the Spirit." 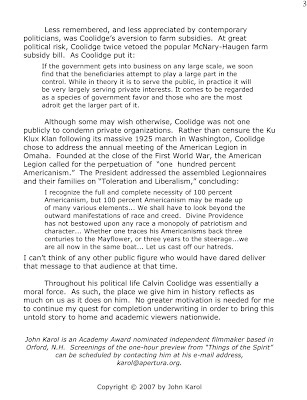 More on Calvin Coolidge and the film, "Things of the Spirit," can be found at the project Web site: www.persistenceplus.com. 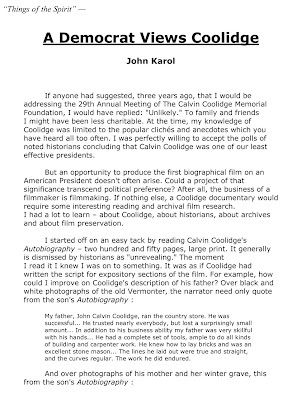 If anything prompts a question or comment, I can be reached via: karol@apertura.org. 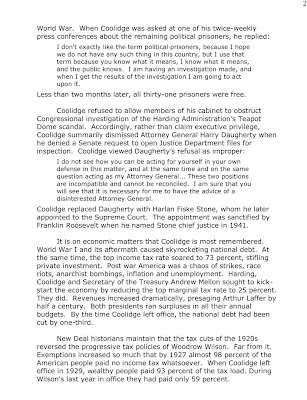 Labels: "The Case for Cal"
President Coolidge with his Cabinet (after dismissing President Harding's Attorney General, Harry Daugherty, and replacing him with Harlan Fiske Stone). 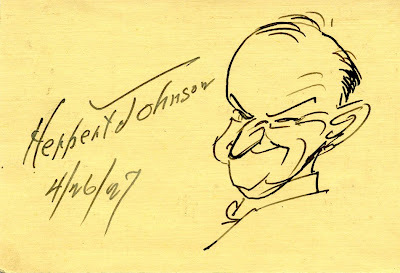 Labels: "Things of the Spirit"
Original sketch of President Coolidge by conservative cartoonist Herbert Johnson (4/26/27).